Are you thinking about starting a Herbalife programme? Looking for a healthy and practical way to manage your weight? Take a look at the experience of one of our happy clients, Mark, and see how Herbalife products helped him to lose 72 pounds 7 months. Do you have your own story you would like to share? Email us at info@herbaireland.com,we would love to hear what you have to say! Over the past 5 years I had slowly gained 70 pounds and was stuck in a rut. I was eating everything and anything unhealthy and did not want to be like that, I knew it wasn’t good for my health. There are so many diet plans and quick fixes (I’ve tried a few) but this time I didn’t know where to turn. I decided to do some research into plans that involved shakes as I thought this would be the best way for me to break the unhealthy relationship with food that I had. Recommendations from friends pointed me in the direction of Herbalife and I have never looked back. 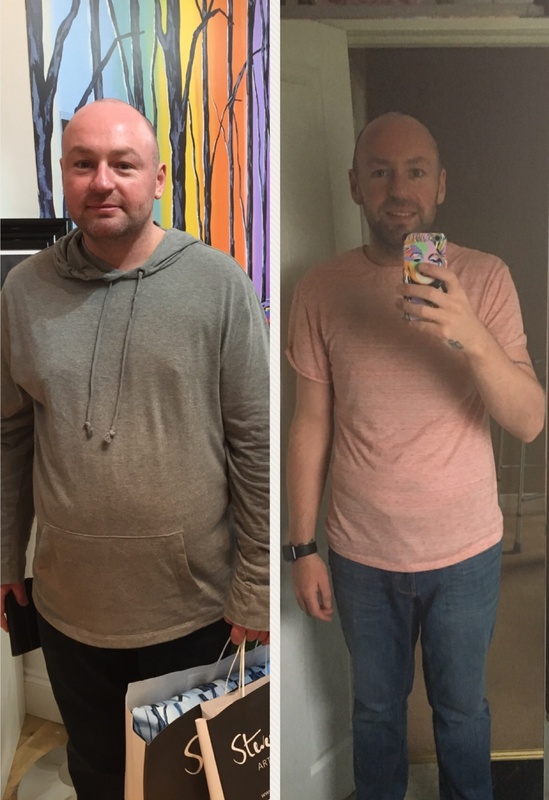 I started my weight loss journey on 26 December 2016 (crazy I know) with a starting weight of 237 pounds, to date I have lost an incredible 72 pounds. I started to feel better after the first week, had more energy and felt more alert. It took a while for me to notice my weight loss which has been the reason previous “diet” attempts failed. I am so glad that I persevered this time. The products are great and so easy to make up, I am currently using the chocolate and mint choc chip (this is my favourite) shakes but have tried toffee apple and cinnamon, cookies and cream, strawberry and blueberry and raspberry shakes and to be fair they are all tasty. It felt great taking all my old “fat” clothes to the charity shop and going out to buy the clothes that I really wanted to wear. I would highly recommend Herbalife if you are looking to lose weight.